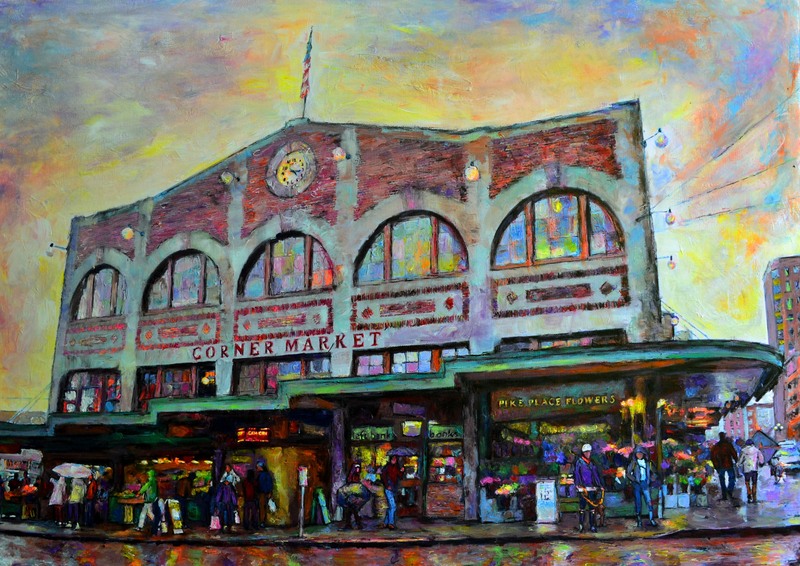 My Colors of Seattle: In this collection of work I wanted to show the brighter, more vibrant side of Seattle. Inside the city of Seattle there is so much life and movement happening everywhere you look. Sometimes people don’t have the time to stop and stare and get a chance to appreciate the everyday life. 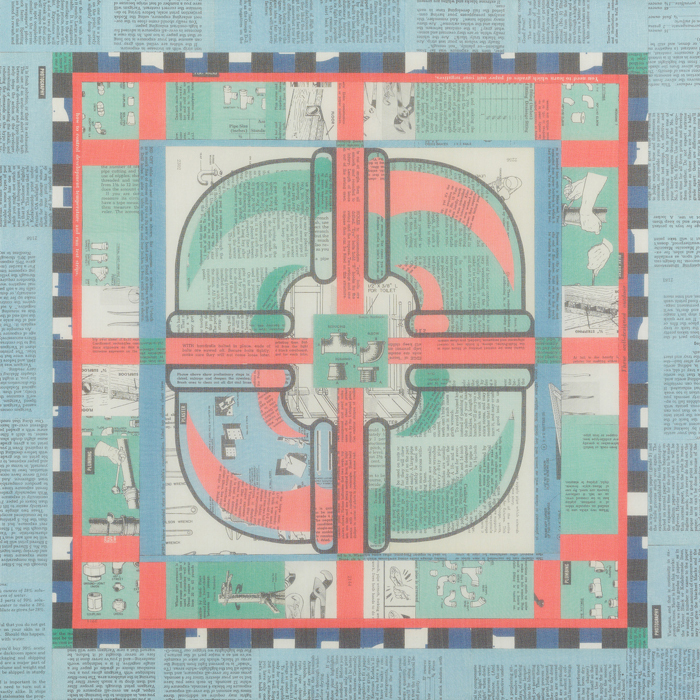 With each piece of artwork I was inspired to create the colors of the city the way I see Seattle. Featuring Tibetan Gong Baths using Tibetan Singing Bowls filled with water then played on the body. It is remarkable & truly Art, Sound Healing & Musical Performance all in one! Come experience Sound Healing with a Tibetan Gong Bath firsthand to know how truly remarkable this is! 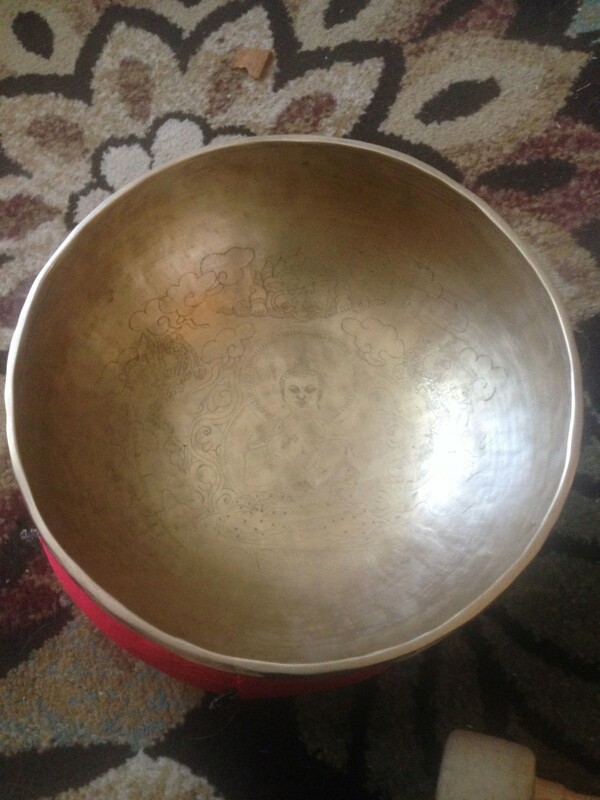 Studies show Tibetan singing bowl soundwaves can bring the brainwaves to a deeply relaxed alpha state, release tensions & improve sleep quality. We will also have mini Reiki Sessions. 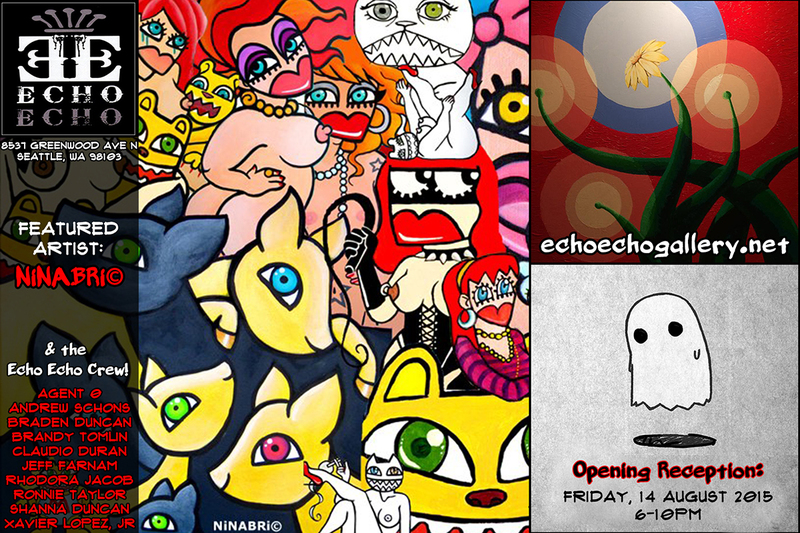 NiNABRi© is an artist from Slovenia who creates the most colorful creatures far and wide! MRSHMR (Melissa Crosetto) is a Washington native living in Seattle. 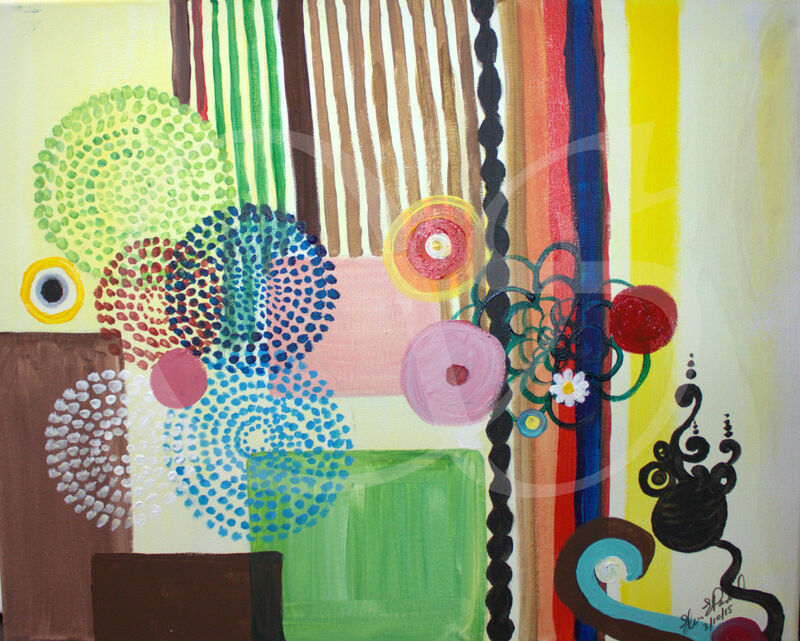 Being a self-taught artist, her abstract work is an exploration of finding peace and tranquility through the painting process. Her goal is to create paintings that speak to your soul. 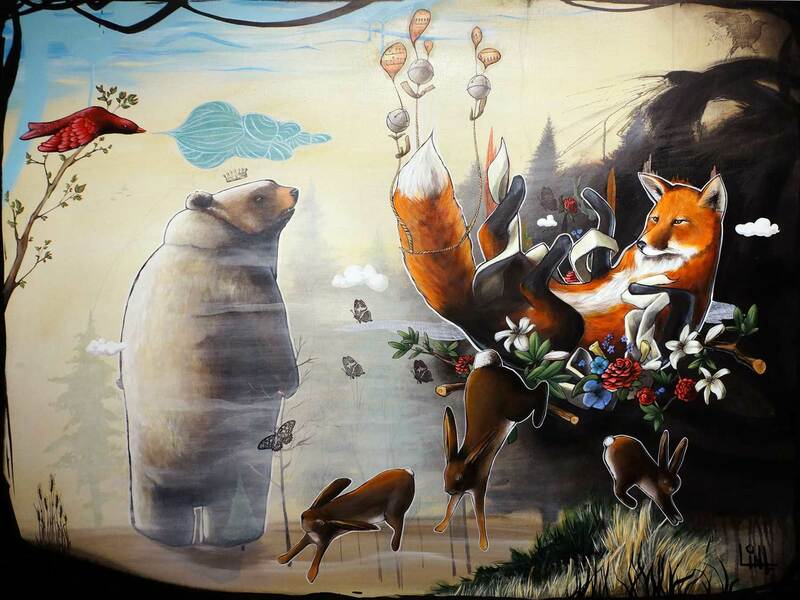 MRSHMR has been showing her work in the greater Seattle area for 5 years and has been a part of the live painting group at Sasquatch Music Festival the past two years. 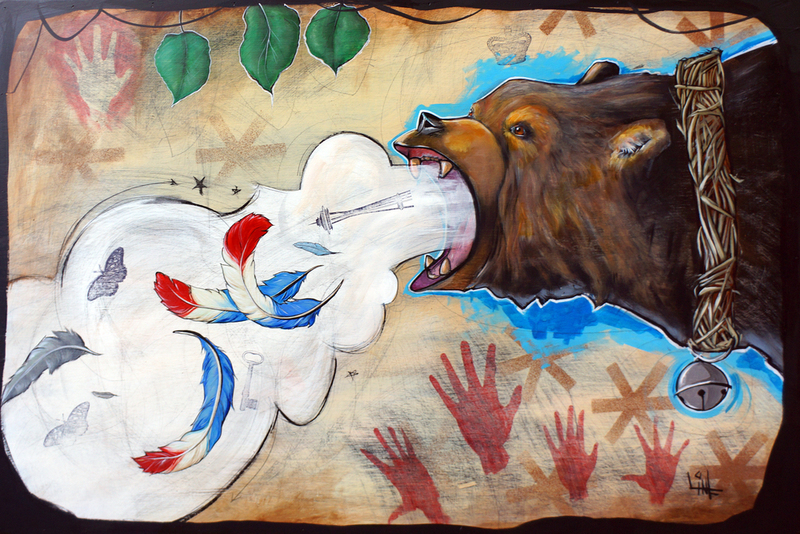 Artists: Sami Saurus, Dusty Rockets, Jeanne Young, Krissy Downing, Eli Wolff, Ryan Henry Ward, Kalilah Shmeow, Tia Gibson, Dave Ryan Street, mix media, acrylic, street art, graphic and illustration. 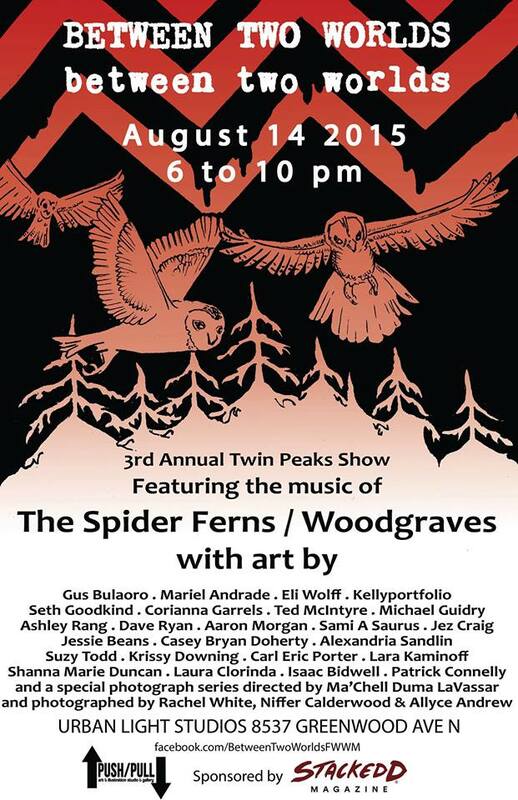 Seattle’s Twin Peaks themed art show is back for a third year with work from over 20 artists and the music of The Spider Ferns and Woodgraves. Don’t miss this one-night-only show dedicated to the beloved series. Sponsored by STACKEDD Magazine and curated by Push/Pull. First 20 people to show up in Twin Peaks costume will receive a door prize. Cherry pies by Julia Whifflebotham. This year’s show features the music of The Spider Ferns and Woodgraves. 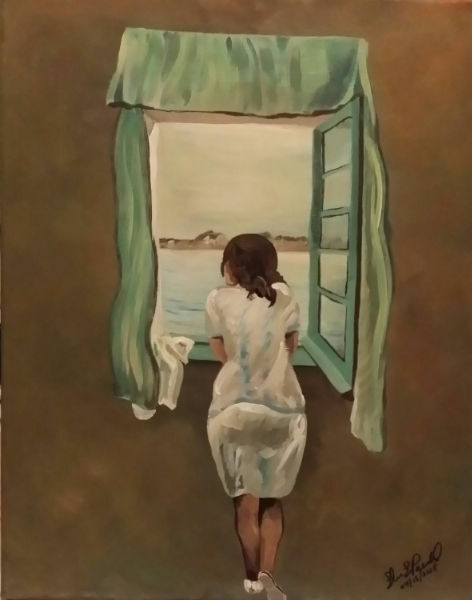 Artist: Va’sil Va’sil will be presenting a collection of paintings that celebrate the importance of positivity, vibrance and the desire to transcend the monotony of daily life. Artists: Nalani Askov, Paul Dermanis, Kim Hood and Deborah Kirsner Journeys: the art of Nalani Askov, Paul Dermanis, Kim Hood, and Deborah Kirsner. 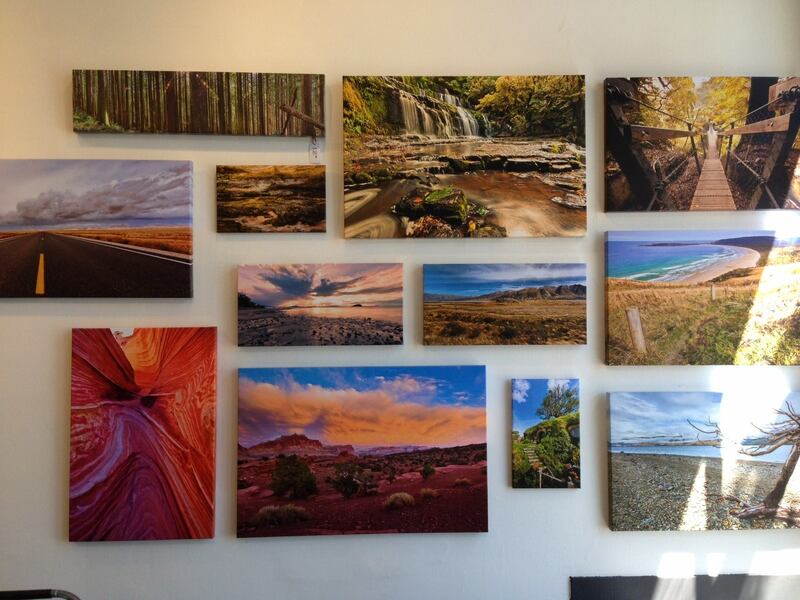 These local artists take us on a journey around the world through their photographs and paintings. 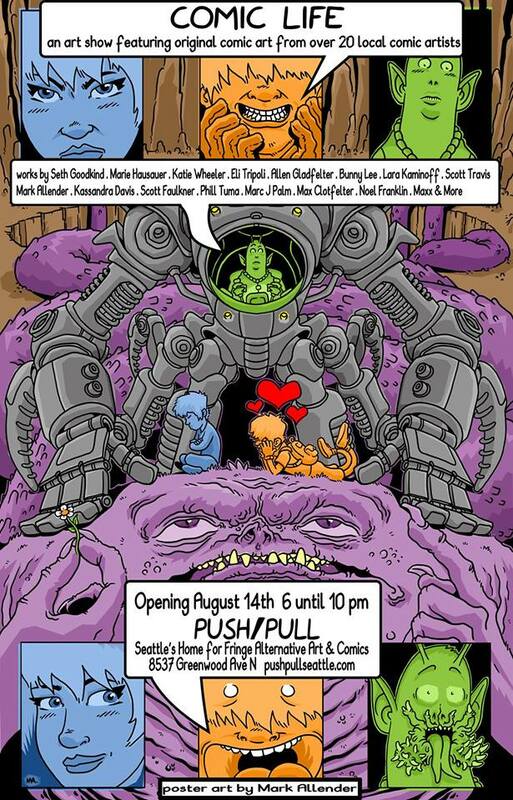 Meet the artists at the opening reception on Friday, August 14 from 7-9 pm. 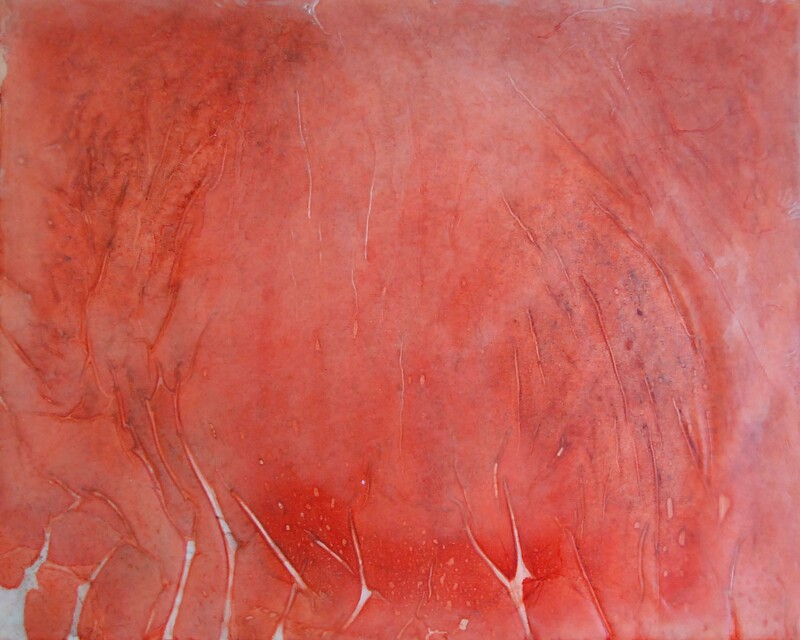 Emily Terhune Korson’s drawings, encaustic paintings and sculptures explore themes of illness, intimacy and mortality. Frequently using transparent materials such as wax, Korson’s work explores the interplay between interior and exterior space in addition to the unseen spaces and processes of the human body. 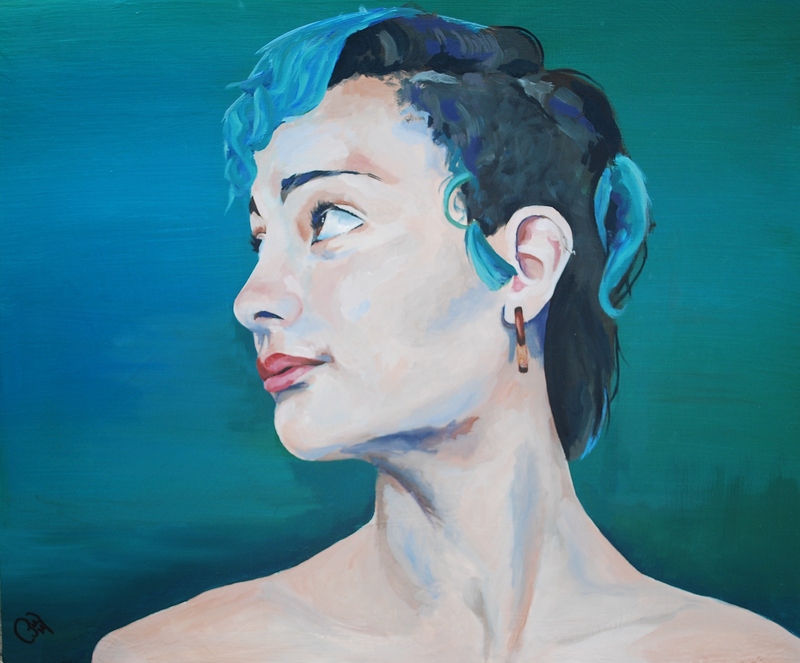 She has exhibited her work in San Francisco, Denver, Boston, Seattle and Portland, Oregon. 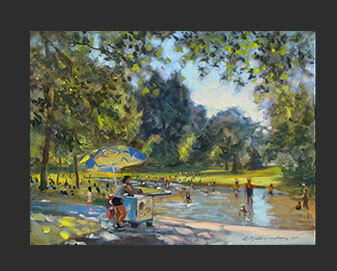 Korson holds a BA in studio art from Reed College and an MFA in Painting from the San Francisco Art Institute.